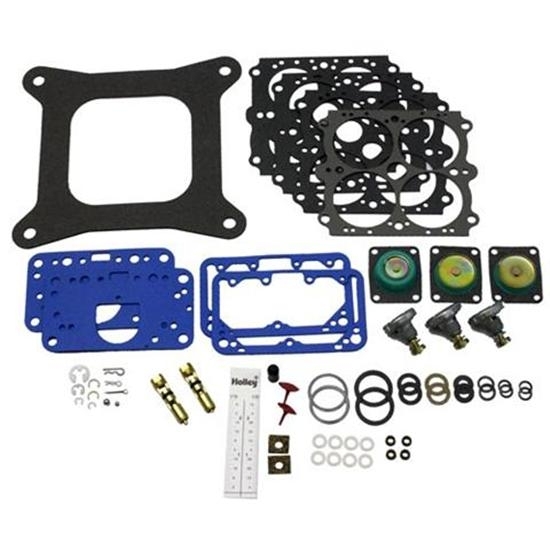 These kits are ideal for a quick refresher of your four barrel Holley carb. Each kit includes step-by-step instructions and a detailed tuning guide. Fits 650 CFM and 750 CFM carburetors. If this is needed for an alcohol application different accelerator pumps with be needed. Includes (2) 30cc pumps, (1) 50cc pump, and (2) 65 power valves.